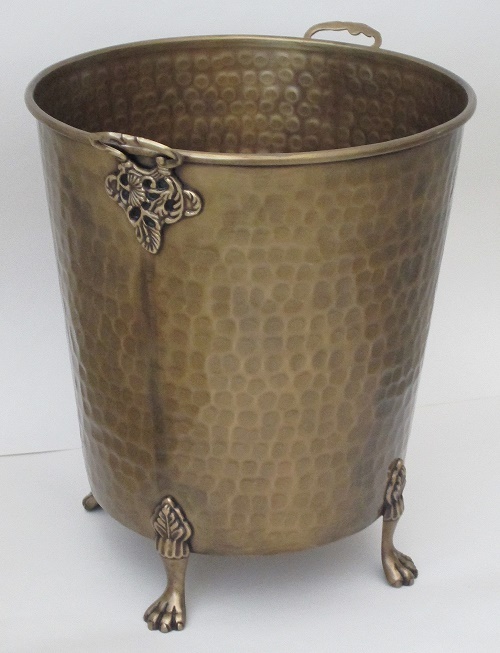 Solid Brass Estate Planter with cast brass handles and feet. 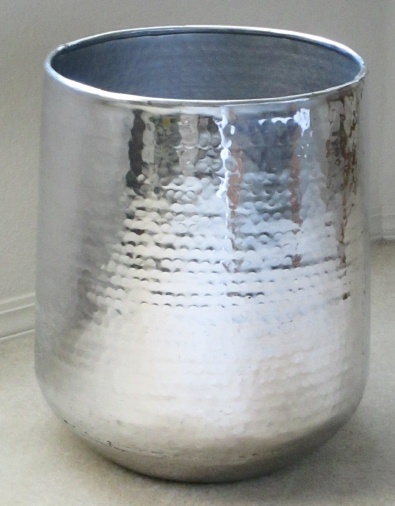 Diameter 14" Height 16" (overall with feet) Antiqued finish for vintage appearance. Lacquered to resist tarnishing. Available in 3 sizes. 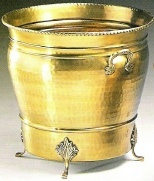 Solid Brass Estate Planter with cast brass handles and feet. Diameter 14" (measured across top opening). Height 16" (measured from floor to top of handles). Diameter of planter bowl bottom 11." Bowl depth 12.5" (measured from top of rim to bottom of bowl). Antique finish is lacquered to resist tarnishing. 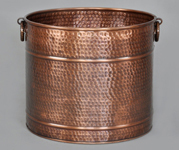 Each piece is individually hand-hammered, heat treated, and hand detailed producing brass and bronze highlights and minor finish variations for authentic vintage appearance. Rugged construction for residential or commercial use. No drain holes. May be used indoors or outdoors. 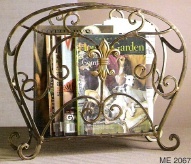 If used outdoors the item will patina with exposure. An Excellent Accents exclusive piece. Available in 3 sizes.